Native vegetation and animals and insects coexist in a sustainable balance because they have co-evolved together over time. When new plant species are introduced intentionally or by removal of existing vegetation, the habitat is destabilized through removal of existing food sources. 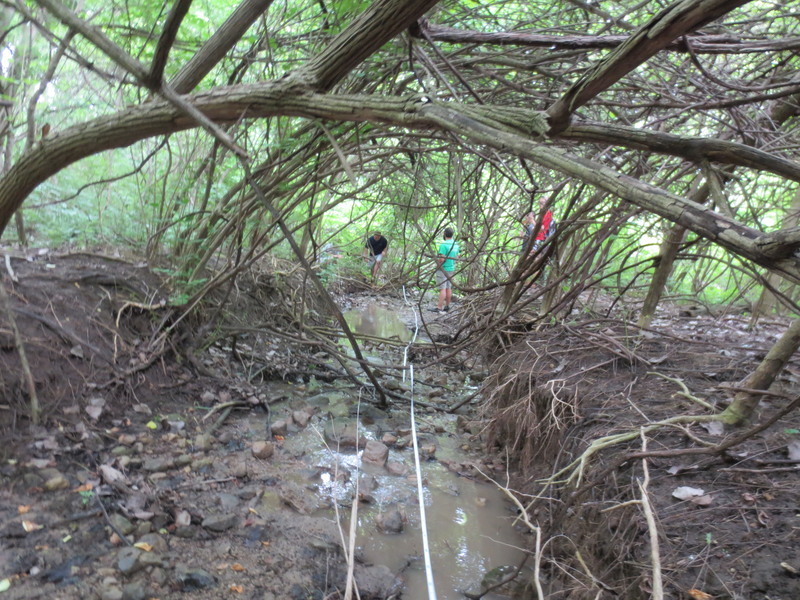 Since invasive vegetation has no natural controls, it quickly displaced additional habitat. We can understand the frustration in dealing with invaisives. We recommend 3 year management plans that avoid herbicides, which is why we published this 3rd edition. These are 13 plants that we have tagged as "the bad guys". Invasive vegetation behaves aggressively, claiming native plant space, nutrients, light and moisture as it's own. Native vegetation can support up to 50 times more organisms as invasive vegetation.Invasive vegetation never co-evolved with native insects and animals that transferred plant biomass to protein biomass. 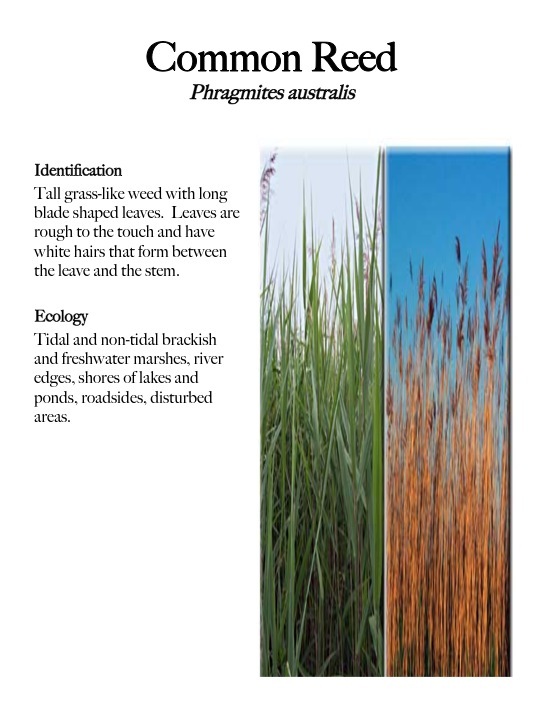 Invasive vegetation habitats are effectively neutered by this inability to complete trophic level transfer of energy. 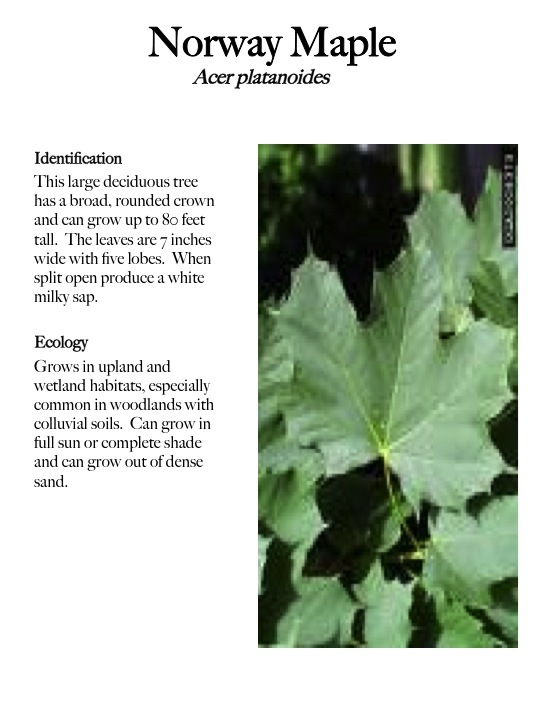 Check out our "green techniques" for invasive removal. 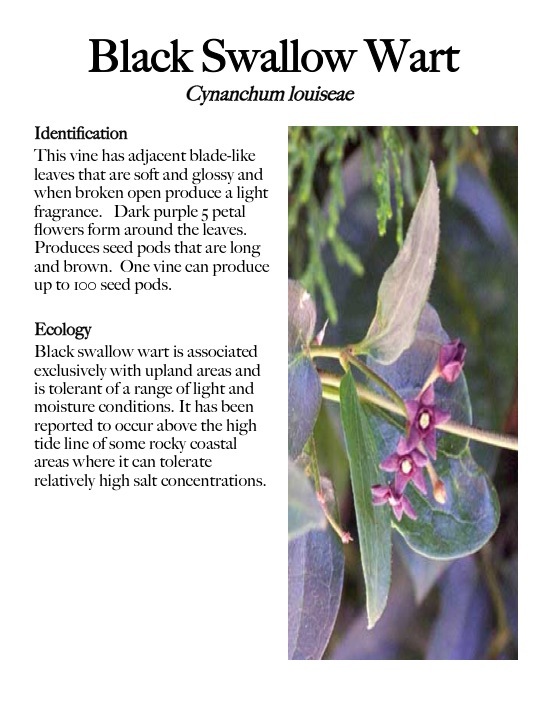 Invasive (non-native plants in our sensitive resource areas crowd out native species. Invasive plants are fast growing and aggressive. They easily out compete native vegetation for nutrients, sunlight and moisture, this crowds out native species and reduces native plant biodiversity. Reductions in native plant population stress native animals by reducing food and shelter options. Up to ten times more native animals may live in native plant habitat than in invasive, exotic plant habitat. This overall pattern creates economic impacts. Native woodland area, naturally appears more balanced. 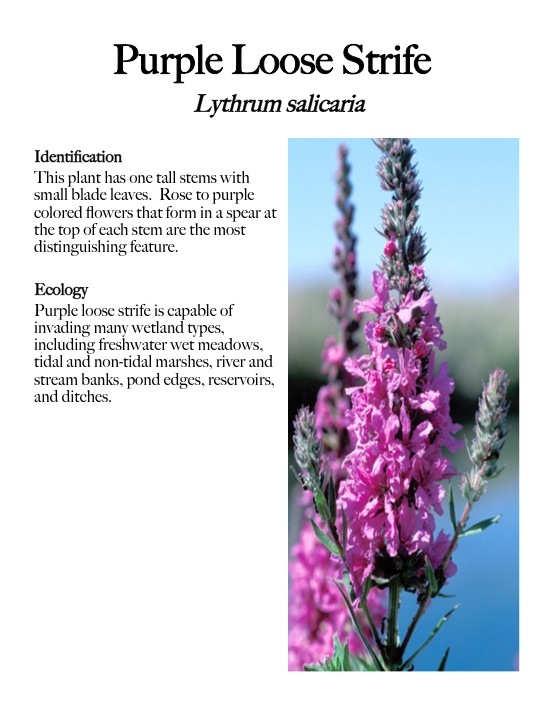 Invasive Plants can take over an area quickly, overwhelming native species. Invasives have created a canopy, preventing native understory from developing. 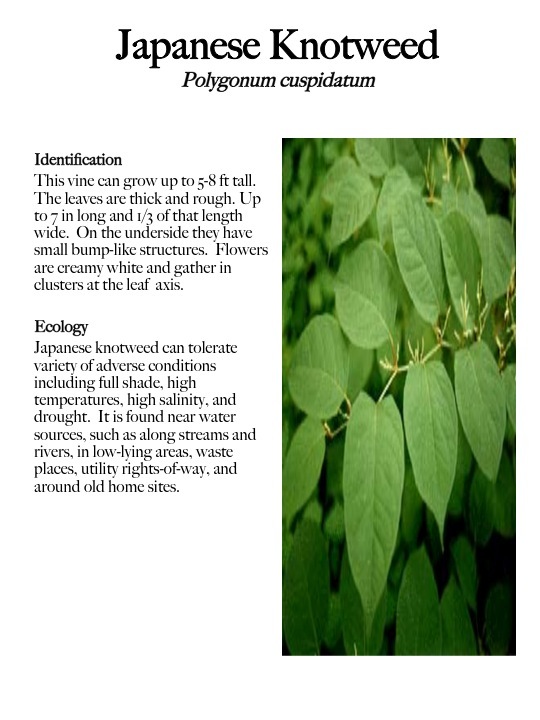 Invasive plants appear in disturbed areas because their growth rate easily out competes naive vegetation that may have been present prior to the disturbance. This requires careful re-vegetation on construction sites. 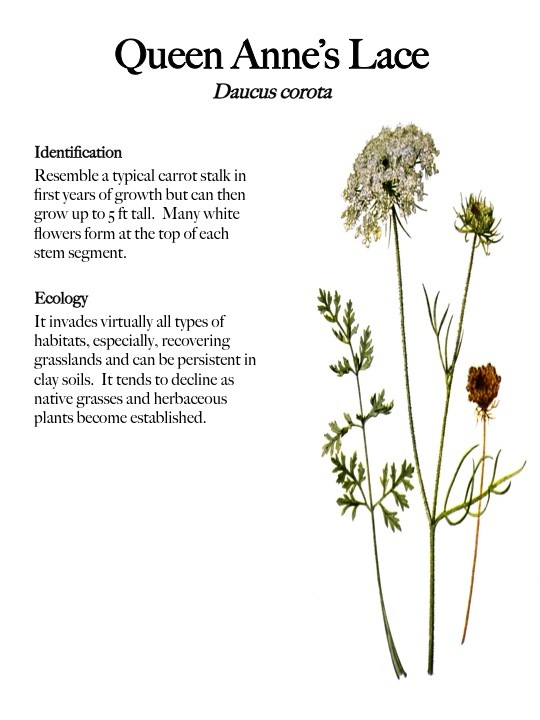 Our Intern Vida, removes Queen Anne's Lace, or "Wild Carrot" from a sensitive coastal habitat restoration. 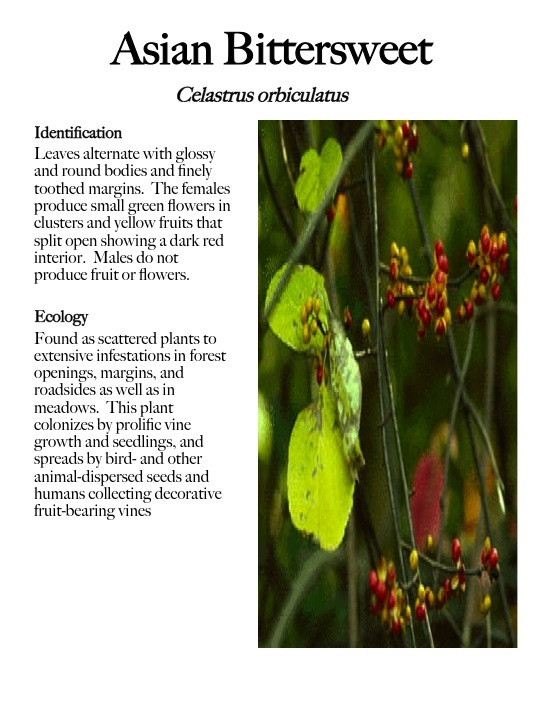 This invasive is removed before seeding, by gently (so seeds aren't released) pulling up the stems, root and all. Large scale removal of invasive plants must be matched with re-planting of native species, co conserve the overall biomass ore the invasives will simply reappear. Large scale invasive plant removal should be done with a three year management plan, to give slower growing native vegetation the chance to become dominant. A warning to Homeowners removing invasive vegetation themselves: Please do not put the removed vegetation in compost piles. This will spread the seeds to dozens of other homes. Bag the removed plants and dispose of them with household trash. On Cape Cod, our trash is incinerated to produce electricity. 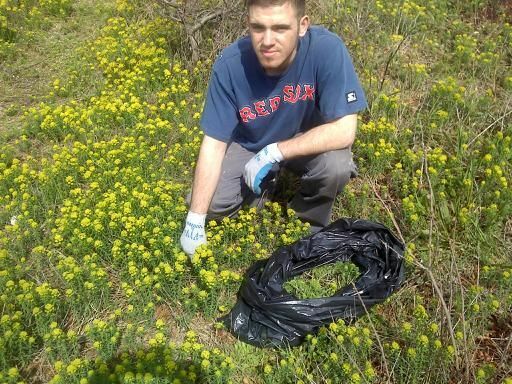 Safe Harbor workers are trained to remove Cyprus Spurge with gloves to avoid skin contact with sap. Safe Harbor field team member, Audra works with a 'Weed Wrench' to remove invasive vegetation.